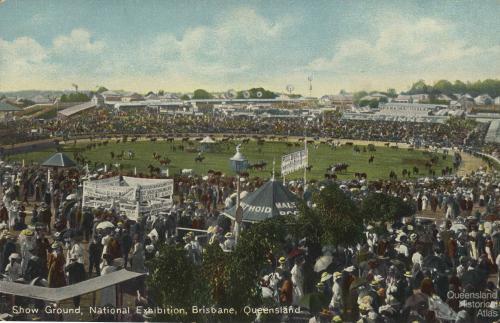 Bird's eye view, Queensland Exhibition, 1876. 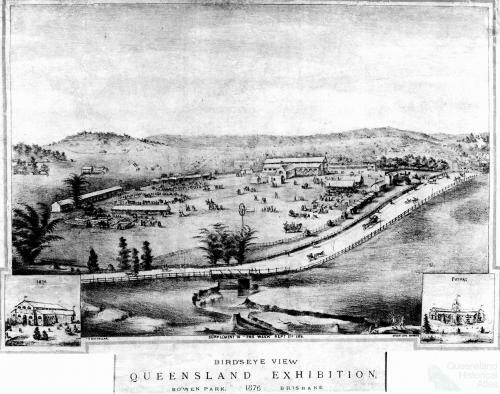 This bird’s eye view of the first show included inset ‘now’ and ‘future’ images of the Exhibition building. The Week, 26 August 1876.